It is a great privilege to serve at the Altar of our God and therefore Servers are chosen from those who display a desire for a more intimate union with our Lord and God, Jesus Christ. Our loving Savior becomes present on the Altar, just as He was at the Last Supper and Calvary. Accordingly, Servers have a solemn responsibility to do their assigned duties with dignity and reverence. Our parish has Altar Servers (boys and girls), who start after their first communion and continue for as long as we can keep them. All people of good faith are welcome and those who think they may desire to serve are encourages doing so. All that is required is a desire to server at the Altar of Our Lord and Savior, Jesus Christ. 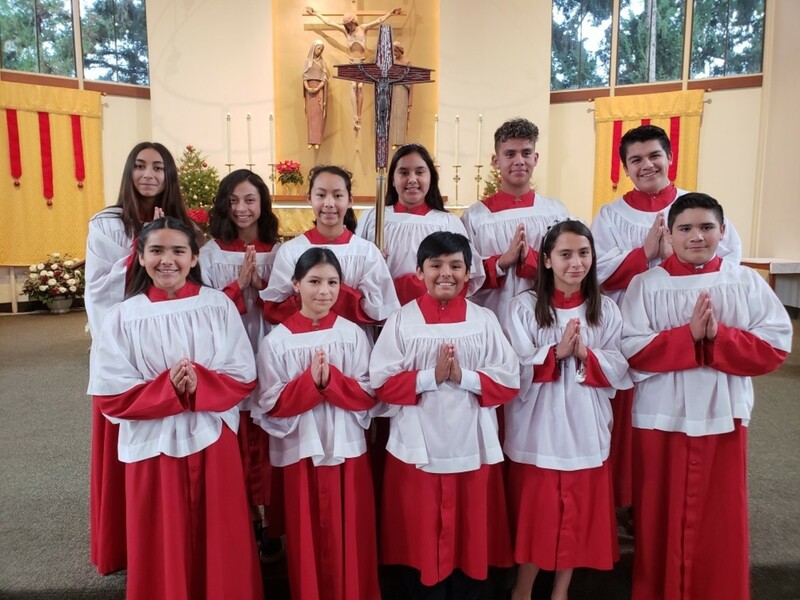 If you're interested in becoming an altar server, please contact our Altar Server coordinator Brian Campos, and schedule a training session with him according to your availability.